It’s a cliché of modernism that one generation’s avant-garde assimilates into the next generation’s mainstream. But seven decades after Thelonious Monk helped lay the foundation for modern jazz, he retains the power to rearrange our ears, to recalibrate our notions of what sounds correct and consonant. As a pianist, composer and arranger, Monk’s genius was both evolutionary and disruptive. He didn’t reject, ignore, or deconstruct the music that came before him. Translating the two-handed Harlem stride piano style in his own sly and gnomic image, he created a unique body of some 70 compositions that have proven endlessly resilient and enduringly revelatory, influencing artists in jazz and far beyond. A series of concerts around the region over the coming weeks celebrate Monk’s centennial, starting with the Danilo Pérez Trio’s performance Oct. 8 at Café Stritch, which kicks off San Jose Jazz’s fall concert series. Pérez’s trio with bassist Ben Street and drummer Adam Cruz also performs at Kuumbwa on Oct. 12 and SFJazz on Oct. 13, a show that opens a block of programming at the center celebrating Monk’s legacy. The Panamanian-born pianist first delved into Monk’s music in the mid-1980s while working with vocalese legend Jon Hendricks, who wrote lyrics for numerous Monk compositions. The experience left him more bemused than impressed. “I didn’t really get it,” says Pérez, 51, who has spent the past 17 years touring and recording with saxophonist Wayne Shorter, the most significant composer in post-Monk jazz. The following year he recorded “Panamonk,” a visionary project that infused Monk’s compositions with Pérez’s Caribbean rhythmic perspective, and he’s touring with his trio to mark the Impulse! album’s 20th anniversary. Pianist Jason Moran experienced his own Theloniousian lightning bolt at 14, when a recording of Monk’s classic ballad “’Round Midnight” seized his imagination and sparked his passion for jazz. The MacArthur “Genius” Fellow reprises his fascinating 2007 multimedia project “In My Mind: Monk at Town Hall” at SFJazz on Oct. 14. Co-commissioned by SFJazz, “In My Mind” is based on Monk’s storied 1959 concert at New York’s Town Hall, which featured Hall Overton’s probing arrangements for a 10-piece ensemble. Moran’s Big Band Wagon tackles the same pieces as part of a production with video, still images, and contemporaneous audio recordings by photojournalist W. Eugene Smith (Moran returns to the Bay Area to present “In My Mind” at Stanford on Nov. 11. 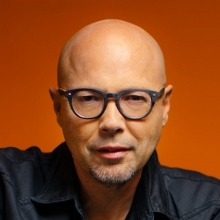 Los Angeles pianist John Beasley’s 15-piece MONK’estra, which performed a superb set last month at the Monterey Jazz Festival, plays SFJazz on Oct. 15 focusing on arrangements from two recent eponymous albums. 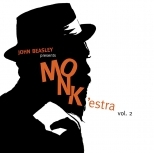 Beasley seeks to infuse Monk’s music with contemporary cadences while evoking the challenges faced by the composer as a black man in a rigged environment. Pinning down Monk’s influence is almost impossible because it’s so pervasive. But pianist Randy Weston, 91, was one of his closest disciples, and he created a body of jazz standards that clearly bare Monk’s imprint. As part of the Koret Discover Jazz Series, SFJazz presents a four-installment weekly class at the SF Conservatory of Music that starts Oct. 18 with Weston, an NEA Jazz Master, joining instructor Cory Combs to talk about Monk’s approach to the piano.